During this closure period alternative arrangements are in place with the RCTS. Full details of how to use the RCTS' Library (located at Leatherhead) as an SLS member, together with latest dates of opening, are contained within the latest SLS Newsletters. This link is to the RCTS Library webpage. Our grateful thanks are expressed to the RCTS for this reciprocal arrangement. The SLS Newsletter will continue to include progress updates for the RCTS Library opening dates/times (together with information on our own new facility as and when, details can be released). Forthcoming "Meet the Society" and extra events (Section updated 6 January 2018). 16 March 2019 - Chiswick Transport Collectors Market. Additional dates/topics for the Perpetual Calendar of Centre meetings and events will be added as/when received. 2) Library - information/update - The latest updates are on the Library page and in the Society Newsletter. 3) IT updates, and in particular our social media posts, are likely to continue to be intermittent at times into the foreseeable future. This is due to a mix of personal circumstances, and prioritising other Society workload for which the SLS web-master apologises. For further information on this issue Society members should note that content regarding, and explaining, the reason for this has been outlined on several occasions within the Newsletter. 4 April - A Thank you to all the vistors to the stand at the two recent events we attended in the London area. Today's updated pages - Perpetual Calendar (for month change) and the Photographic Collection page due to changed postal rates. The List of Lists and Web Information PDFs therefore also revised and reloaded with revised prices. 10 Mar - As outlined in sticky notice (3) above several updates mentioned on 2nd Feb were temporarily suspended until today. Updated today - the Perpetual Calendar for month change and confirmation of recent updates to the meetings list for the Newcastle Centre. Details of the reciprocal arrangement for SLS members to use the RCTS Library at Leatherhead also added to the Library page. Journal page, and Archived Journal Contents page also given updates. Some of the SPC forms updated. A new list C18 - UK locomotives, stations and sheds including some narrow gauge and Irish subjectsphotographed by W. A. Camwell during the period 1936 – 1968 inclusive.added to the Photograph Collection sales listing page. 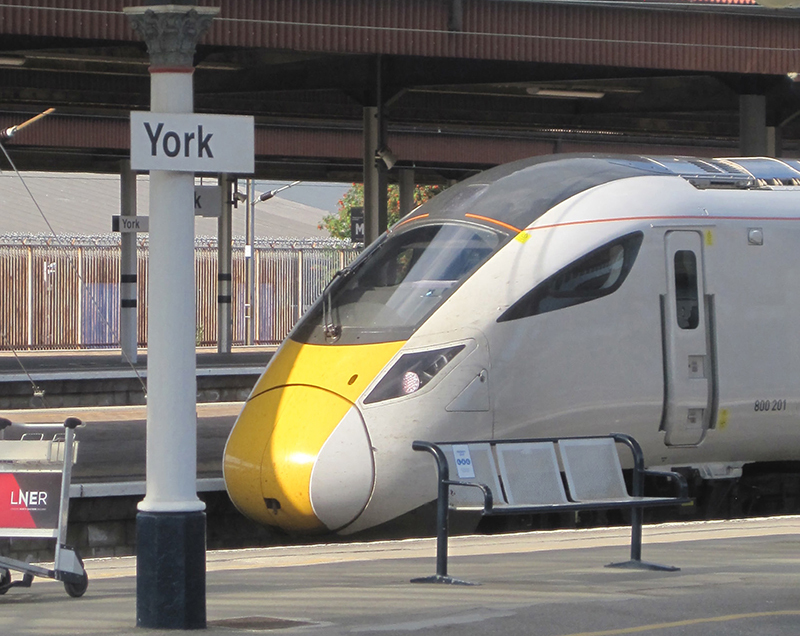 The latest cover image uploaded (An Azuma at York) and the Photos on Freeview page also updated with links to the last two cover photographs. The Journal contents for J915 & J916 now also live. (NB Adding the images for the WWWs from J915 & J916 and the most recents answers are still pending actions.) SPC Collection lists - An opportunity has been taken to rationalise the content of several photograph lists which had been issued as supplements. Accordingly, List Nos. 32A, B1 and B2 were withdrawn w.e.f 1 Janaury 2019. They have now been deleted from the site. 2 Feb - Start of monthly updates. The Perpetual Calendar updated for month change. Further updates for the now published January/February Journal, and additions in the SPC Collection section are work in progress and the revised pages will be added (as/when completed) over the next few days. 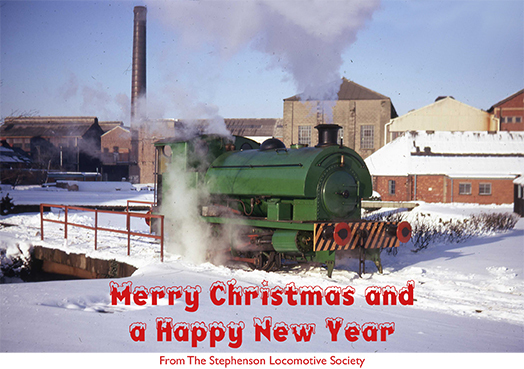 8 Jan - The Perpetual Calendar is now fully complete for all our currently live Centres - Ayrshire (Ardrossan), Godalming, Midlands (Kidderminster), Manchester, Newcastle, South Lakeland (Kendal), Teesside (Coulby Newham) & Teesside (Middlesbrough) Christmas Card - Our 2018 Christmas Card and New Year greeting image now removed but added to the images list on the Photos on Freeview page. 2 Jan - Office and web-team now back from the the Christmas break and wishing all readers a Happy New Year. 20 Dec - Closed for Christmas. Older entries now removed as obsolete.